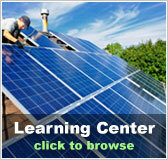 Solar technology | Solar Panels | Solar Power | Site Map | Bookmark This Site! 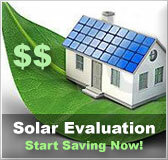 Solar technology has seen many great improvements in recent years. Whereas the breakthrough of using silicon on solar panels was once the latest and greatest in solar technology, more modern solar technology focuses on finding other alloys besides silicon. The reason for this focus is the price of silicon. Solar power would very likely be much more popular today if it was more price competitive. 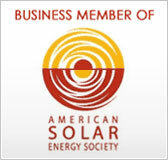 People often overlook solar power because they have enough financial worries as it is. They want to keep their purses as full as possible. The initial cost of setting up solar technology can often overshadow the fact that running solar power is completely free. So, what are the latest and greatest alloys in solar technology? A copper-indium-gallium-diselenide (CIGS) alloy is highly efficient and much less expensive than its silicon counterpart. CIGS is not simply less expensive than silicon. It also more efficiently converts sunlight into an electric current. There is a team of South African scientists to thank for the considerable cost savings of CIGS solar panels. They team works at the Department of Physics at the Rand Afrikaans University and came up with a manufacturing technique that allows the CIGS solar to be constructed at a very low cost. All of the materials used for CIGS can, in essence, be recycled at the end of the life of a panel. This is useful because, after about twenty years, a panel may not work as well due to the breaking down of the crystals. Also, copper is in abundant supply, making it an excellent resource for solar panels. Another copper alloy uses just copper, indium, and diselenide (CIS). This solar technology has been made available by Shell Solar. Shell Solar has not stopped the advancement of their solar technology here though. They are also working on combining and layering amorphous silicon with CIS to create a newer, more highly effective solar panel. As it becomes more and more obvious just how finite the main energy resources are, more focus will continue shifting toward alternative energy options. 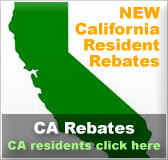 As this shift occurs, solar technology continues to improve. For this reason we can expect future solar technology to become even more efficient, as well as even more cost effective.